Renae Ingles (nee Hallinan) is a great of the game. 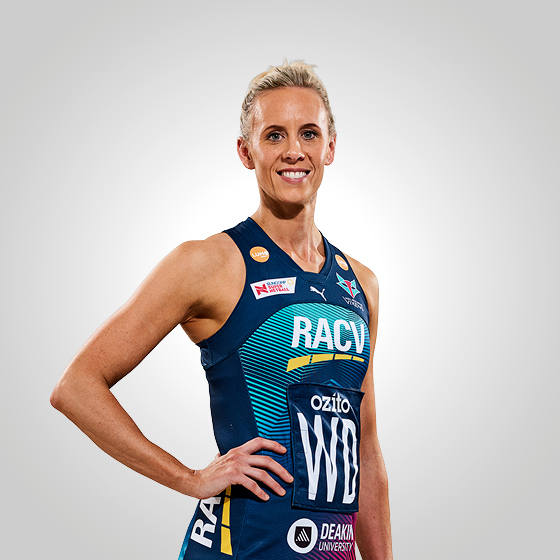 Beginning her elite netball career in 2003 with the Melbourne Phoenix, Ingles is a four-time premiership player, a Commonwealth Games gold medallist and a Netball World Cup champion. 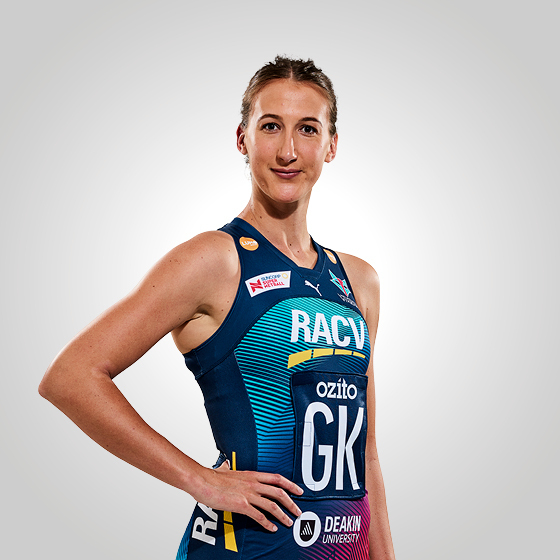 An inaugural member of the Melbourne Vixens when the Phoenix and Melbourne Kestrels merged, Ingles made the move from the Vixens to the Adelaide Thunderbirds after the 2011 season, during which she captained the team from 2014-2015. Returning to Melbourne in May, it took little time for the Vixens to identify Ingles as an asset to the team whilst playing for the Melbourne University Lightning in the Bupa Victorian Netball League. I started netball when one of my friends asked me to fill-in for her team when I was 8-9 years years old. I loved it so joined the team! Liz Boniello is my favourite netballer of all-time. She was playing for Australia and was captain of the Melbourne Phoenix. She was a leader both on-and-off the court and really took me under her wing. My favourite netball memory was winning the gold medal in Glasgow in 2014 was very special because we came home with the silver medal four years earlier in Delhi. It felt like all of our hardwork as a team had come together. If I could give one piece of advice to a young player it would be to always enjoy the game and continually strive to get better. The more I learn and get better, the more I love the game! If I wasn't a netballer I would really love to be a rockstar- problem is, I can't sing!!!!! Away from the court I spend time with my husband, kids and family- usually relaxing! The music I listen to most is a lot of old school RnB if I am in charge, and the Wiggles if my twins are in charge! My dream travel destination is anywhere warm, with beaches so that I can relax with Joe and the kids!